On this page we are explaining what osteoporosis is, the causes, treatments, risk factors and how you can prevent it from becoming a problem. One good thing is that you can still receive chiropractic treatment despite having osteoporosis. We might have to modify the treatment but there is always a chiropractic treatment method that will suit you. Osteoporosis (porous bone) is a condition where the bones become weak and thin. It is characterized by low bone mass and structural deterioration of bone tissue, causing bone fragility and an increased likelihood of fracture. Normal bone structure has the appearance of honeycomb - a thick outer shell and a strong inner mesh. The holes between the bony mesh become larger in osteoporosis meaning the bone structure is weakened and susceptible to breaking with the slightest knock or fall. In the UK, one in two women over the age of 50 will break a bone, predominantly due to osteoporosis. One in five men over 50 are also affected. It affects an estimated 75 million people in Europe, USA and Japan. In 2000, there was an estimated 9 million new osteoporosis fractures, 1.6 million being in the hip, 1.7 million in the forearm and 1.4 million in the vertebrae. Europe and the US accounted for 51% of these fractures. 30 – 50 % of women and 15 – 30 % of men will suffer a fracture related to osteoporosis in their lifetime. If there is a 10% loss of bone mass in the vertebrae, it will double the risk of vertebral fracture and a 10% loss of bone mass in the hip can result in a 2.5 times greater risk of hip fracture. Unfortunately, you cannot feel your bones getting weaker. Often, osteoporosis is diagnosed in patients when x-rays are taken in our chiropractic clinics. Most people are unaware that they have osteoporosis until they fracture a bone. Osteoporosis sufferers can fracture a bone from a minor fall, or in serious cases, from a simple action such as a sneeze or even just spontaneously. Vertebral fractures may initially present as back pain, loss of height or spinal deformity e.g. kyphosis, Dowager’s hump or stooped posture. In many cases, a vertebral fracture can occur without causing pain and is found on x-rays as an incidental finding without the patient being aware of previous fractures. Women can lose up to 20% of their bone mass in the first 5 – 7 years after menopause, making them more likely to develop osteoporosis. Family history of osteoporosis. Osteoporosis has been shown in studies to have a large genetic component. Being small and thin. Studies have provided evidence that weight in infancy is a determinant of bone mass in adulthood. Certain race/ethnicities such as being Caucasian, Asian or Hispanic/Latino, although African Americans are also at risk. Low estrogen in women: including menopause, surgical removal of ovaries, or pituitary problems. Missing periods (amenorrhea). Some young females, particularly those training for elite athletic competitions, with extreme levels of exercise, eating too little may experience amenorrhea due to reduced estrogen levels, which puts them at risk. People suffering from Anorexia Nervosa may also experience amenorrhea and put them at a greater risk of developing osteoporosis. This is because once the body fat levels go below a certain point estrogen production stops. Inactive lifestyle. Physical inactivity and a sedentary lifestyle as well as impaired neurological and muscular function (e.g. decreased muscle strength, impaired gait and balance) are risk factors for developing fractures. Smoking can lead to lower bone density and high risk of fracture and this increase with age. Alcohol abuse, over 4 units a day can double the risk of hip fracture. Certain medications and conditions such as cortico-steroid medications (for asthma and chronic inflammation), some anticonvulsants (medication for epilepsy) and others. Prolonged use of corticosteroids is the most common cause of secondary osteoporosis. It has been estimated that 30 – 50 % of patients on long-term corticosteroid therapy will experience a fracture with an increased risk of hip fracture by 2 fold in females and 2.6 in males. Certain diseases and conditions such as anorexia nervosa, rheumatoid arthritis and gastrointestinal diseases causing malabsorption (Chron’s, Celiac, Gluten intolerance). This is one of the most serious complications of osteoporosis. A hip fracture unfortunately often results in increased dependency or even death. It is common to get pneumonia or deep vein thrombosis (DVT) as a complication. Nearly 75% of all hip fractures occur in females over 50. They have a 2.8% risk of death related to hip fracture after the age of 50, which is equivalent to the risk of death from breast cancer and 4 times higher than from endometrial cancer. Hip fractures cause the most morbidity with reported mortality rates up to 20 – 24 % in the first year after hip fracture and greater risk of dying may persist for at least 5 years afterwards. Loss of function and independence among is common with 40% of them being unable to walk independently and 60% requiring assistance even a year later. Due to this, a third of people are totally dependent or in a nursing home in the year following a hip fracture. 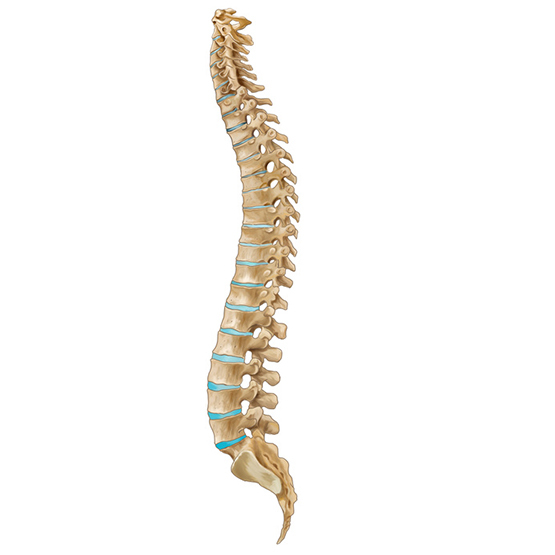 A 50-year old female has a 16% lifetime risk of having a vertebral fracture compared to 5% in a male. A 65-year old female with 1 previous vertebral fracture has a 1 in 4 risk of another fracture over 5 years; however this can be decreased to a 1 in 8 risk by treatment. Vertebral fractures can cause back pain; loss of height; deformity; immobility, increased number of days in bed and even reduced lung function. The impact on quality of life can be huge as a result of loss of self-esteem, distorted body image and depression. Also there can be a significant effect on normal daily living activities. Vertebral compression fractures is one of the most common pathologies we see in the practice. Specialised tests called bone mineral density scans (BMD) can measure density in various sites of the body, most commonly the heel. Experts recommend using a central DEXA scan (dual energy x-ray absorptiometry), combined with laser technology. This test is painless, safe and requires no preparation from you. The test will tell if you have low bone density and are at risk of having a fracture in the future. It compares your bone density with that of a healthy young adult. The result is given as a T-score. Some bone density tests measure the strength of the hip, spine and/or wrist, the areas commonly fractured in osteoporotic patients. Although no test is 100% accurate, it is the single most important diagnostic test to predict whether a patient will have a fracture in the future. Although there is no cure for osteoporosis, it can be treated in a variety of ways. There is a range of drug treatments available for post-menopausal osteoporosis. Studies have shown that depending on the drug and patient population, treatment decreases the risk of vertebral fracture by between 30 – 65 % and of non-vertebral fracture by 16 – 53 %. There are two types of cells in our bones, bone dissolving cells, osteoclasts (break down old bone) and construction cells, osteoblasts (build new bone). Some drugs work by slowing down the activity of the bone dissolving cells whilst others stimulate the construction cells. The aim of medication is to strengthen bones to prevent them from fracturing. Calcium and vitamin D – these daily tablets (e.g. Calcichew, Cacit, and Sandocal) are most often prescribed to older people to help prevent fractures. They may also be used as dietary supplements for those taking other medication. Calcitonin – is available as a nasal spray or injection. The injection is useful as a short-term treatment after spinal fracture. It has a pain relieving effect in some people and it can help with acute pain whilst giving bone protection. It is usually only prescribed by specialists. Hormone replacement therapy (HRT) – replaces estrogen (and sometimes progesterone) in women and testosterone in men. HRT is not being used as much for osteoporosis treatment after menopause as there are more effective treatments. Maintaining a healthy diet and active lifestyle will help prevent osteoporosis. Regular weight-bearing exercise is the best way and it is never too late to start. If you have already been diagnosed with osteoporosis, you will need to be careful of vigorous, high impact exercise. Here at the practice we have the facilities to help develop a suitable exercise programme for you. We recognize the need to keep exercise fun otherwise you will not continue. Did you know that lifting weights is the most effective way to help you maintain and build your bone density, jumping on a trampoline is also a great way to help you. Now, you might not like the idea of ‘pumping iron’ or trampolineing, so we have alternative exercise routines we can suggest. Dancing, walking, Tai Chi, gardening and golf are good forms of exercise for all ages. Leading an active lifestyle, whatever you decide to do, will ensure that you stay healthier in your old age. Chiropractors are able to advise each patient on exercises, which will help improve core stability musculature and maintain bone density. Calcium and vitamin D are important for bone health. A varied diet including milk, hard cheese, certain vegetables and fruits, oily fish and meat will help to ensure you are eating the correct amount. It is not necessary to eat dairy or meat products to get enough calcium in your diet. Supplements can help to boost your intake of the necessary nutrients to. It is important to reduce intake of salt, fizzy drinks, too much caffeine and alcohol. MSM is known for its anti-inflammatory benefits because it helps reduce the rigidity of cells in soft tissues of the body. We should all eat 5 servings of fruit and vegetables a day. Mega Greens plus MSM compares to 5 – 7 servings per day. The body continuously regenerates new cells. Skin cells are regenerated on 30- day cycles, while bone cells are regenerated on 120-day cycles. If our cells do not receive proper nutrition, then they will fall into a state of degeneration. Proper nutrition means you provide your body with the necessary vitamins, minerals, amino acids and proteins. Mega Greens plus MSM are gluten free and suitable for all ages. Genacol supplements help relieve painful symptoms of joint inflammation and degeneration. Using Genacol can significantly reduce use of NSAID’s (anti-inflammatory tablets) for people with osteoarthritis and joint problems, and is less likely to cause any stomach irritation. Smoking and being overweight will also have an effect on bone density so quitting smoking and losing weight will decrease your chances of bone fracture due to osteoporosis. Chiropractors do not treat osteoporosis but we are able to reduce some of the symptoms, particularly relating to spinal compression fractures and we offer important advice to help prevent further fractures and loss of bone density. We often identify compression fractures and osteoporosis on x-rays and we are able to advise patients to have further tests to establish the severity of the problem. We can all be affected by osteoporosis but it pretty difficult to know if you are affected until you have a test. We know that the higher your bone density is at the age of 30 the better it tend to be in later years, so it is important to tell our children to eat well, exercise and look after themselves. We also know that if we do weight bearing exercise, eat well and have a good lifestyle in our later years we are less likely to suffer osteoporosis, so we need to tell our parents about it. Remember, it is never too late to improve your bone density, so don’t delay telling the people you love and care for what they should do.